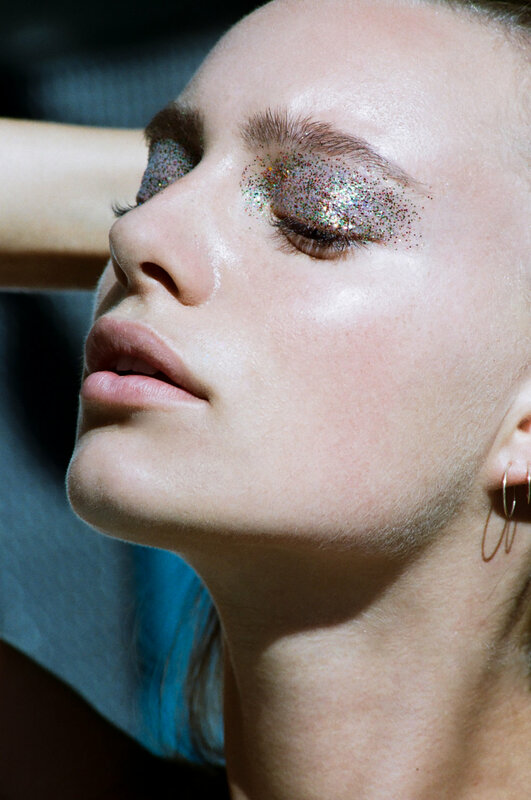 "Maya, Charelle and I spent about 5 hours driving around Bali to find a store that sold glitter. Finally we got our hands on some for this idea we really wanted to do. It came to my last day and we still hadn't used the glitter and I was flying at 11 am. So naturally we woke up at 7 am to shoot. We spent about 2 hours chasing the sun in and out of clouds, and it was well worth it. These girls are truly flawless humans inside and out. I'm so happy I got to capture their beauty on film in such an intimate relaxed way."